It’s rare that a concert has so much impact that people still talk about it 100 years later. However, that’s certainly the case for a performance a century ago by some German prisoners of Ludwig van Beethoven’s Symphony No. 9 in Tokushima Prefecture. It was the masterpiece’s first performance in a country that would later make it part of its year-end holiday tradition. 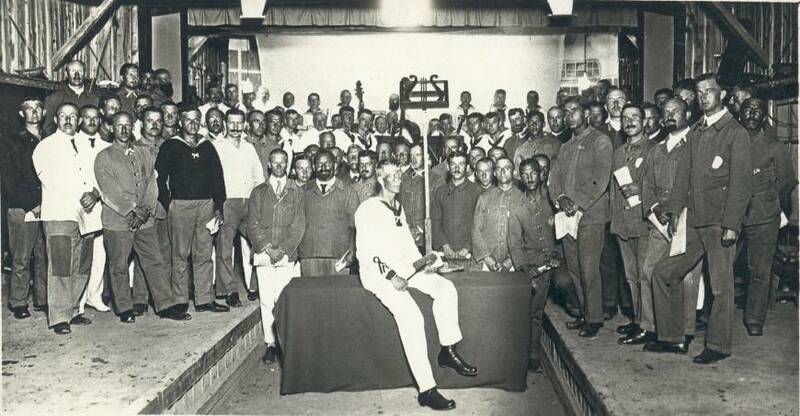 The story effectively starts after the siege of Tsingtao in 1914 during World War I, when Japan and Britain teamed up to boot Germany out of the colony it had established there. 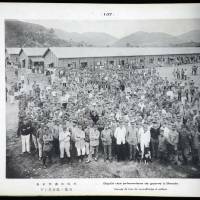 They were successful, and 4,700 POWs were brought to Japan, with some 1,000 being placed in the Bando camp in what is now the city of Naruto, Tokushima. They were the lucky ones — or as lucky as you can get when you’re a prisoner. Born to an Aizu domain samurai family who fought against the Imperial Army around the time of the Meiji Restoration of 1868, Matsue experienced a good deal of hardship during his childhood, which is said to have given him a sense of what it meant to be defeated. He wasn’t without his critics, especially among his superiors, but that didn’t stop him from running Bando the way he wanted. His light hand was also in keeping with local custom. People living in the area were taken aback by the decision to locate the 1,000 Germans at Bando — it was around twice the size of the town’s population. Eventually, they began to interact with them, referring to them as “Doitsu-san” (“Mr. German”). 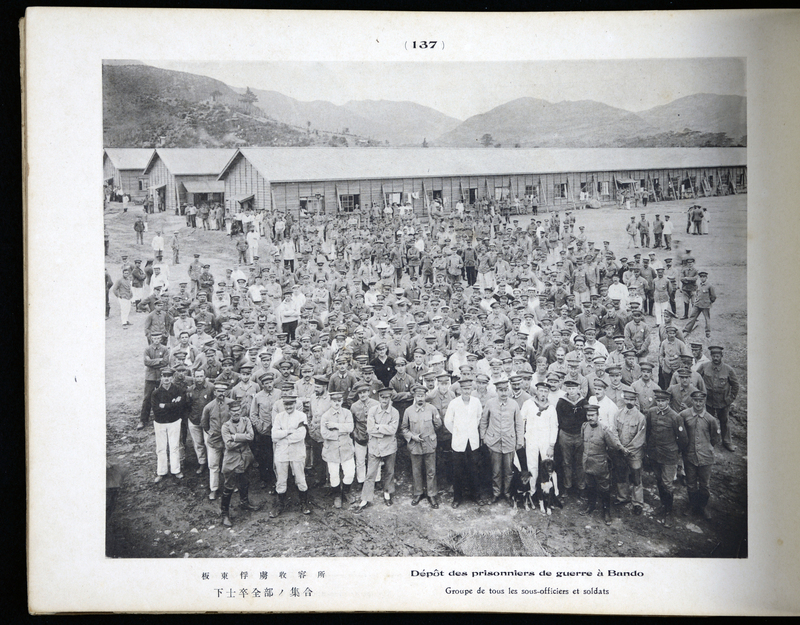 The German POWs, more than half of whom weren’t professional soldiers, also contributed to the community by teaching the locals skills from their regular jobs as engineers, craftsmen and artists. As part of cultural activities, more than 100 concerts were organized in the Bando camp. Two orchestras, two choirs and many smaller groups comprised of POWs performed songs, symphonies and other musical pieces. 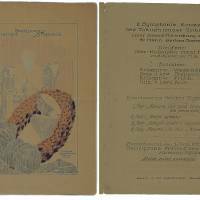 The performance on June 1, 1918, of Beethoven’s Symphony No. 9 — known as “Daiku” (No. 9) to the Japanese — was one of those cultural activities. Conducted by POW Hermann Hansen, the 45-member Tokushima Orchestra and an 80-member choir performed the symphony from the first movement to the choral finale. Unfortunately, the concert was limited to those inside the camp, but word of it reached Yorisada Tokugawa, a renowned patron of Western classical music in Tokyo. 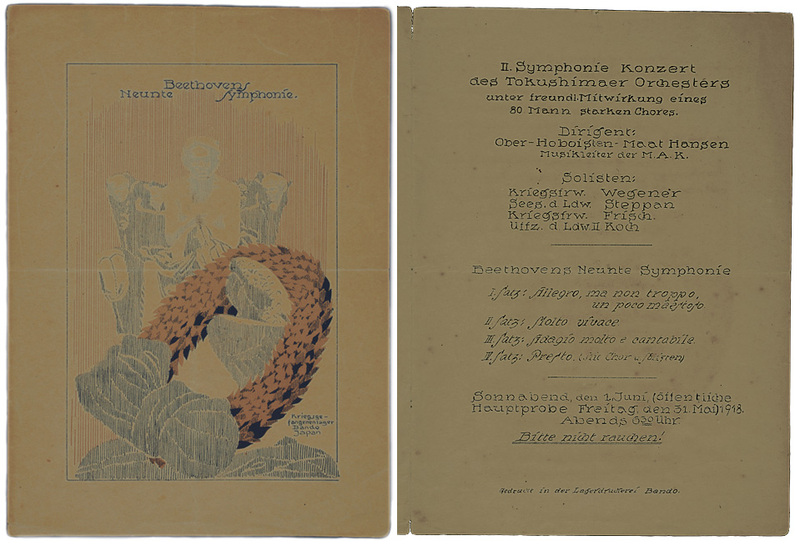 “According to his 1943 book ‘Waitei Gakuwa’ (‘My Stories on Music’), Japanese musicians were not yet able to perform the symphony in the 1910s” because their technical ability wasn’t high enough, says Sumiko Hasegawa, curator of The Naruto German House. 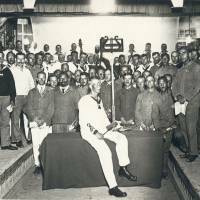 “So Tokugawa visited the Bando camp in August 1918, where the POWs played the first movement again for him.” Tokugawa’s verdict was that the performance was “not bad,” and he was impressed by the level of passion these amateur musicians displayed. The first performance of “Daiku” by Japanese musicians came in 1925 at what is now the Tokyo University of Fine Arts. After the end of World War I, the Bando prisoners began leaving. All were gone by 1920 and, with the outbreak of World War II in 1939, the largely positive exchanges between Japanese and Germans were soon forgotten. It wasn’t until the 1960s, when those former POWs revisited Japan, that a relationship with the citizens of Naruto resumed. In 1972, the city established Naruto German House to preserve and display this unique cultural heritage. “Thanks to academic research from the 1970s and onward, we’ve come to realize that the 1918 ‘Daiku’ concert was actually the first one in Asia and a historic event,” explains Mori, adding that it also became a point of pride among locals. The story entered a new chapter with the opening of the Naruto Bunka Kaikan hall in 1982. “Daiku” was performed by the amateur Tokushima Symphony Orchestra and a 377-member choir mainly made up of Naruto citizens. Thanks to the efforts of those choir members, and in particular former Mayor Toshiaki Kamei, the concert has been held annually as “Naruto Daiku” on the first Sunday of June. In the rest of the country, however, “Daiku” performances have become a year-end tradition. This is partly due to economic reasons — the piece’s popularity guarantees a healthy audience turnout even when performed by increasing ranks of amateur choirs. Today more than 100 concerts are held nationwide every December. “With fast passages and hard-to-sing high notes, ‘Daiku’ is a difficult work for amateurs to sing,” says Toshihide Koroyasu, who teaches music at Naruto University of Education and used to be a member of the Bavarian Radio Choir in Germany. After returning to Japan, Koroyasu was invited to join Naruto’s “Daiku” as a soloist in 1992, and has coached the choir ever since. In marking the 100th anniversary of the POW performance, this year the city of Naruto is hosting a special concert titled “Yomigaeru Daiku” on June 1 in which they hope to re-create the 1918 concert. The vocals will all be performed by men, in keeping with the makeup of the German POWs, with Koroyasu, a tenor, serving as soprano solo. Then, the annual concert at Naruto Bunka Kaikan will be held for two days (June 2 and 3), bringing together some 1,200 choir members (600 singers for each concert) under the baton of Thomas Dorsch. The choir will comprise people from several countries — Japan, Germany, the United States and, the former battlefield of Tsingtao, China. 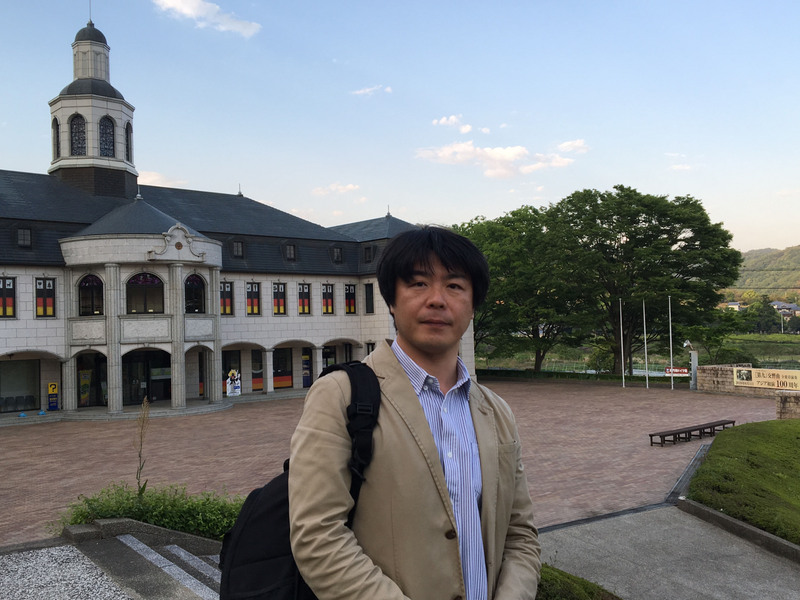 Hideyuki Fujinaga, a senior staff writer at the Tokushima Shimbun, has been covering the run-up to the centenary celebrations since 2016. 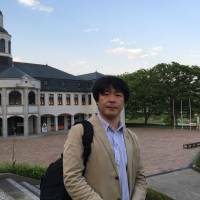 He has interviewed more than 100 people connected to the Bando story in Japan and Germany, and has found a universality to the piece. “Yomigaeru Daiku” will take place June 1 (6:30 p.m. start) at the open-air square in front of The Naruto German House in Naruto, Tokushima Prefecture. Admission is free. The 37th Concert of Beethoven’s Symphony No. 9 will take place June 2 (6 p.m.) and June 3 (1 p.m.) at Naruto Bunka Kaikan. Tickets cost ¥2,500 at the door. For more information, visit www.city.naruto.tokushima.jp/contents/daiku/index.html.